Are you working hard to stick to your New Year’s resolutions? If one of those resolutions was to eat better food, lose weight, or just get healthier, then it might seem like you won’t be able to go out to eat without breaking that resolution. And no meal out is enjoyable if you then feel guilty about your food choices after. We have good news for you, though. Hearthstone Kitchen & Cellar has plenty of healthy choices so that you can enjoy great food with plenty of flavor – all while sticking to your New Year’s resolutions, too. Start your day off right with our healthy brunch choices. 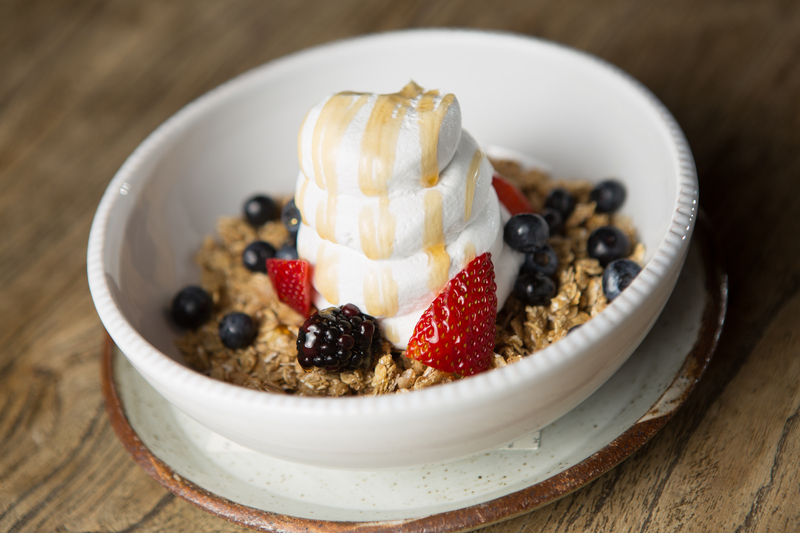 Our Fruit with Berry Compote and Acai Granola Bowl are great ways to start. Then, try our 2 Eggs Any Style dish for a high-protein way to start the day and stave off hunger later on. Our Protein Omelette is another great choice, featuring egg whites, chicken, spinach, mushrooms, and breakfast potatoes. We offer a number of salads that are flavorful and filling. Try the Harvest Quinoa Salad which is dressed with chickpeas, apple, gouda, and roasted pumpkin seeds. Add a Simple Fresh Fruit Bowl side to any meal for a low-calorie option. And if you’re craving breakfast meat, our Apple Chicken Sausage is a healthier alternative to traditional sausage or bacon. Dinner is often a challenging meal to find healthy options for, but we have plenty of dishes on our dinner menu that will keep your diet on track. Start off with our Roasted Jalapeno Hummus or our Vegetarian Sliders featuring an Impossible Burger, whole wheat bun, avocado, vegan quinoa may, and grilled tomato. 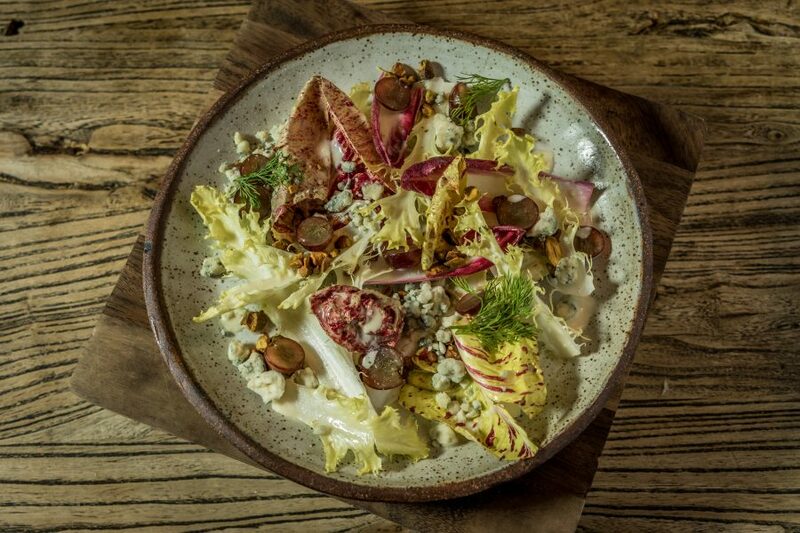 The Apple & Quinoa Salad is flavorful and filling, and our Herbs & Green Salad featuring shaved vegetables, meyer lemon dressing, and crispy sunchokes is another great option. You may also want to try our Zucchini Ribbons Pesto, which is topped with cherry tomatoes, garlic, and pine nuts and basil. In addition to the Watermelon Salad, Herbs & Green Salad, and Zucchini Ribbons Pesto, we have three more vegan dinner options. The Vegan Sliders Lettuce Cup features a lettuce cup, avocado, vegan quinoa mayo, and grilled tomato for plenty of flavor. Our Crispy Brussel Sprouts are seasoned with apples and lemon for a delicious twist. And, our Vegan Cheese Pizza pairs vegan mozzarella with traditional marinara. You can also add seasonal vegetables to make this a healthier option. 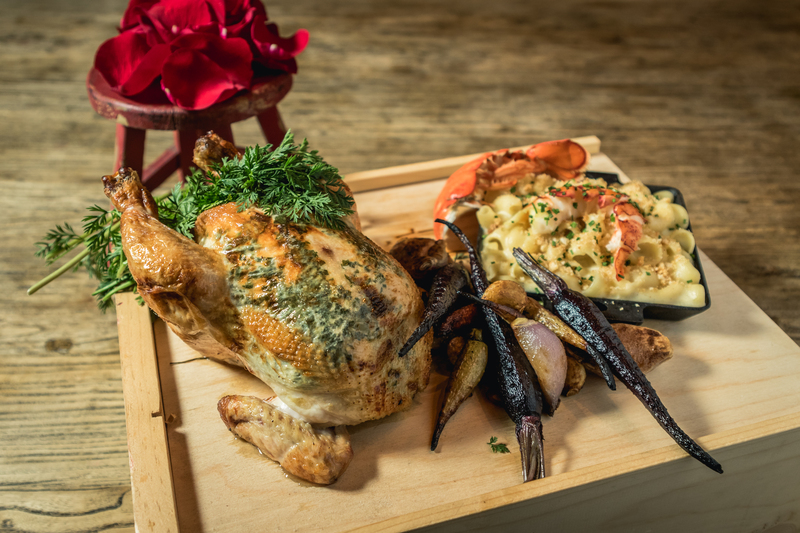 For your main course, our Rotisserie Chicken is filling and delicious. Or, opt for our Salmon dish, which is poached and served with spring peas and morel mushrooms. Add on a side of Crispy Brussel Sprouts, Roasted Asparagus, or Steamed Broccoli to customize any dish. Even our Happy Hour menu has healthy choices. Keep things calorie-conscious with our Jalapeno Hummus served with garlic flatbread. Our Harvest Quinoa Salad is another great choice, as is our Herbs & Green Salad. Or, try our Vegetarian Slider, served with a whole wheat bun, avocado, vegan quinoa mayo, grilled tomato, and sweet potato fries. We’ve carefully designed our menu to offer healthy options that are packed with just as much flavor as our traditional dishes are. Whether you are gluten free, vegetarian, or vegan, we have options on our menu that are in keeping with any dietary restrictions. But it’s important to also remember that healthy options aren’t just low-calorie, low-fat, or low in carbs. Here at Hearthstone, “healthy” starts with the very ingredients that we use. All of our ingredients are of the highest quality, and our dishes are made from scratch. This attention to detail and drive to use only the highest quality ingredients makes our dishes healthier and of a higher quality than what you’ll find in other restaurants. Sticking to your New Year’s resolutions can be a challenge, but with Hearthstone’s versatile menu, you can dine out while still eating healthy. If you have questions about the best options that will still work with your resolution, please don’t hesitate to ask one of our servers. They would be happy to help you find the dish that’s just perfect for you, so you can enjoy a delicious meal out without feeling guilty afterward.